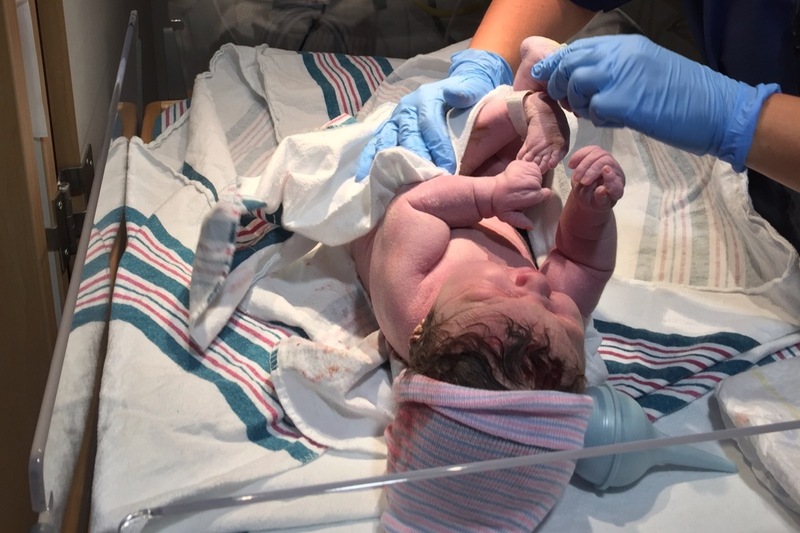 On Nov. 28, 2018, Lydia fought her way into the world at a hospital in Richmond, Va. She weighed 8 pounds 4 ounces. You see, Lydia's always been a fighter. She fought her way through an IUD to be conceived and defied the odds and grew into a full-term baby. We need your help as she continues fighting during her long road to recovery. We knew immediately something was wrong with our sweet baby. Her legs did not bend and her fingers were irregular. She also did not breathe well. The doctors let us take her to the postpartum wing of the hospital, as her color was good and her vitals were fine. Within a few hours, however, our baby would be transferred to the Neonatal Intensive Care Unit of the hospital and our lives would be transformed forever. Lydia has been diagnosis with arthrogryposis . It's a rare disorder where the joints and muscles constrict. It occurs in 1 out of about 3,000 births and can have a severe impact on a person's ability to walk and use his or her arms and hands. As a result, Lydia's fingers are stiff and often closed, her hips are out of socket and her feet and legs are not straight. To begin the process of repairing her joints, her legs were placed in casts at three weeks old. The casts are replaced weekly in an effort to straighten her legs and feet. 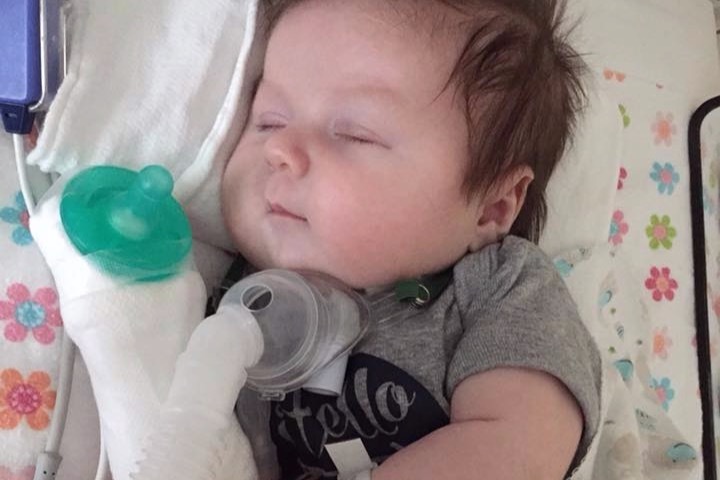 In addition, Lydia was diagnosed with laryngomalacia, which causes the airway to be soft, and a recessed tongue. This caused her to have difficulty breathing, and it restricts her ability to swallow. 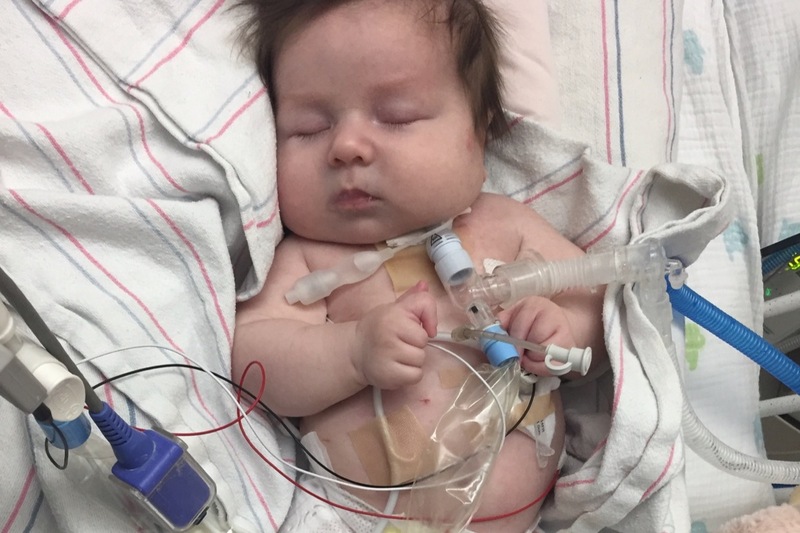 At four weeks old, Lydia underwent surgery and had a trach inserted into her throat and a feeding tube was placed into her stomach. She is now breathing through the trach and eating through the feeding tube. Lydia should be released from the hospital in a few weeks at just over two months old. She is stable and doing well. We are scared and excited about this prospect. We want our baby at home, but we must take care of a baby with special needs. 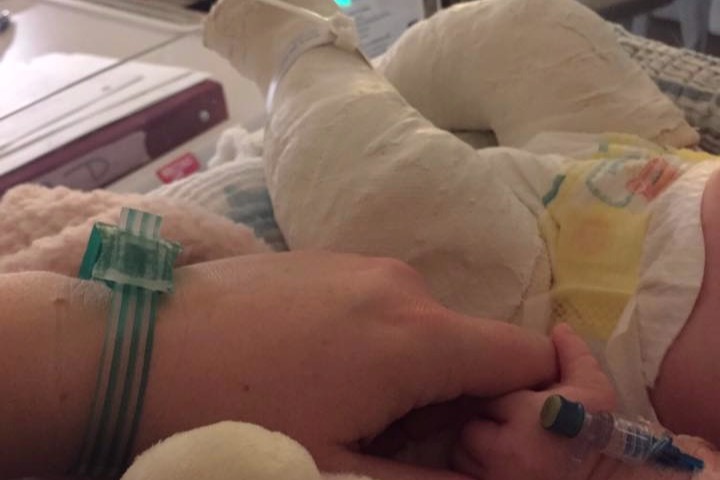 We know nothing about taking care of a baby with a trach and a feeding tube. The nurses at the hospital are teaching us, but eventually must learn to be independent and give Lydia the care she needs on our own. Lydia's long-term prospects are good, but she faces numerous obstacles on that journey. She will have more surgeries in the next few years to repair her hips and other joints. She will also need to see an occupational therapist, a physical therapist and chiropractor to improve her muscle tone and give her the best chance of having a regular life. In addition, we will have to make multiple trips to Philadelphia to see a hand specialist at the Shriner's Hospital. Our current orthopedic surgeon says he is one of best pediatric hand doctors in the country, and she recommends that we have him do the needed repairs to the hands. 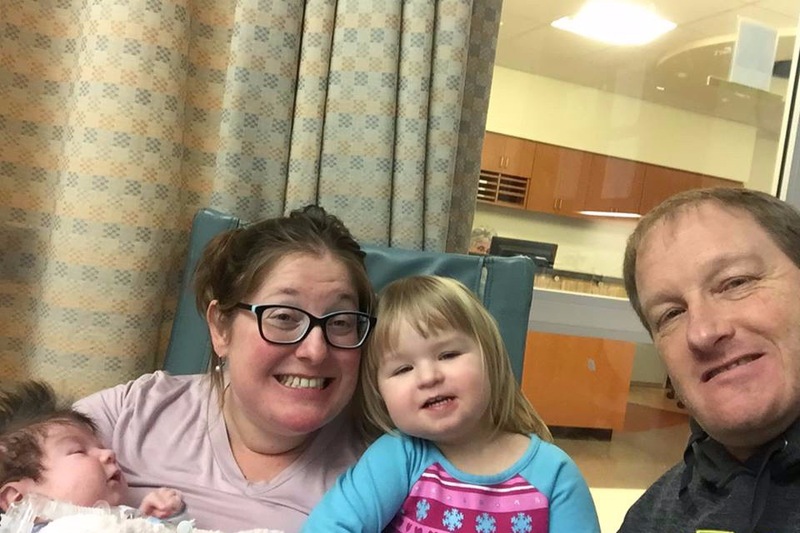 We are seeking money not only for the urgent care that Lydia needs but also for the lost income we will suffer from taking Lydia to the numerous appointments. She is going to need a lot of individualized attention over the next few years. Hopefully, insurance will pay for the majority of the care, but as with anything medical, the actual costs are unknown. We are blessed to have our family and caring friends with us on this journey. I wanted to thank everyone for their donation. I have reached out to some of you personally, but others I have not. I apologize. Your gifts and love for Lydia and the Shea family have not gone unnoticed. Lydia turns four months in a couple days and weighs around 13 and a half pounds. She's started to develop little fat rolls on her legs and arms — not as much as her big sister but she's still a chunky little baby. For anyone who doesn't know, Lydia spent 63 days in the NICU (one week at Henrico and seven weeks at the Children's Hospital at VCU.) We brought her home on January 28 and had to take her back eight days later when she got a serious respiratory infection. She spent four more weeks at VCU, and we took her home again in early March. Over the last few weeks, we have been getting used to caring for a trached baby. Lydia is a strong, resilient child, but you have to have eyes on her 24/7. Either physically or with a monitor. We have a nurse to help us during the day, but we are on our own in the evenings, nights and weekends. Last week, Lydia took her first big adventure. We traveled to Philadelphia to see a hand specialist at Shriner's hospital. Lydia was a rock star on the five-hour trip. We met with the specialist and his recommendation was to do stretching exercises on Lydia's hands and let her grow. We go back in four months. On Saturday, we took Lydia to the aquarium in New Jersey. It was her first big outing other than a doctor's appointment. She did great. As has always been the case with Miss Lydia, mom and dad were more freaked out than she was. Our real challenge right now is transportation. We need a larger vehicle. We rented a minivan for the trip to Philadelphia, and it became apparent that we will need a large SUV or minivan in the near future. There is just no way to get both kids and Lydia's medical equipment in either of our passenger vehicles. We are starting to look around for the best option, but it's going to be a tough pill to swallow when we have to start making car payments again.